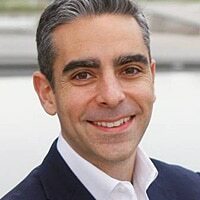 In a blog post entitled “Looking Ahead to 2013”, PayPal president David Marcus sets out his “thought starters, perhaps predictions, for 2013” — and at the top of the four-point list is “NFC will fail to gain mass adoption”. Other key trends for 2013, says Marcus, will be: The payments, loyalty and coupons businesses will merge, the cash register will go mobile and the emergence of new experiences that go beyond check-in. • A 42-page market briefing for The Mobile Wallet Report, published today, takes an in-depth look at PayPal’s digital wallet and in-store payments plans. Mobile Wallet Market Briefing: PayPal analyses the strengths of PayPal’s technical armoury, its vision for a digital wallet in the cloud, its ability to scale at speed and the likelihood of it gaining widespread consumer and merchant acceptance — as well as the possible reasons why PayPal is so negative about the prospects of NFC. Is this guy serious? I hate typing my PIN or having to sign for something. Plus carrying my wallet around is becoming increasingly annoying. I think his stance on this is due to his financial status, it may not make sense for his lifestyle but I could make 10 payments via NFC a day. Less a confident prediction, more a fervent wish, I suspect. Not sure he’s not implying that the card won’t be replaced by the phone – just the method by which payment is made. PayPal’s assumption is that money can just be transferred without any physical or proximity contact and therefore NFC is not required. Suits PayPal’s business model nicely of course. However, there are a large number of flaws to this argument, not least of which is user experience. When you pay for something in the physical world, there’s a security in making a physical action. In the virtual world it works fine but you can’t transfer the same logic to physical stores. They need to operate differently. You take the concept of ‘mobile cash registers’. Great if you are PayPal. But you ask any retailer or coffee shop how much extra business they get from people picking up items at the till queue and they’ll tell you it’s not such a great idea. We must have more batteries than we could ever use..
Additionally, while he clearly thinks that the coupon and payments businesses will merge (something we’d agree with), we see (non-payment) NFC as an integral part of that. The ability to collect coupons in one place on your phone to redeem somewhere else is something that NFC is perfect for. And the consumers understanding that NFC is the link between it all is vital for concept adoption. Is that the sound of Square’s $3.25bn valuation crashing down I can hear all the way from the other side of the Atlantic? From the president of PayPal I find the comments curious, as I don’t know how PayPal will cross in the physical world without NFC. Is this a hint that PayPal will be issuing mag stripe or contact chip cards? Some people are perhaps forgetting that not everyone has a payment card. What about children and younger people? NFC via phone is definitely the way forward for them. This is not a forecast. Neither is it an evaluation of the merits of NFC. Paypal is a pure e-commerce player and despite growth in e-commerce that’s still less that 10% of brick and mortar commerce. Of course they would love to be in b&m payments and have been trying various ploys to get there. Whatever the level of success of NFC Paypal just does not have an foothold in the NFC ecosystem. They do not control POS, mobile phones, or even a mobile phone OS. Google has at least the last part and plenty more cash. So what’s Paypal’s best strategy when they know that they cannot play in NFC? Try and convince the world that it is not going to happen. That’s what I would do in their shoes. So this is not a forecast. It’s a defense strategy or even wishful thinking. People that move to NFC Wallets are not doing so because it is “easier” that a swipe. Granted that simplicity is essential (and NFC is), but the movement to NFC wallets is going to be because of the overall convenience brought by the convergence of offers, loyalty, location, augmented reality, receipts, etc. in the new age shopping experience. Add to that distribution of MNOs, recasting of the rules by networks, and value add for merchants and there is a pretty strong case for NFC. The NFC ecosystem ensures that no one gets intermediated (which is why it is complex) and hence has the power to scale verticals, regions, etc.